Gram Flour, also known as Chickpea Flour or Besan Flour is popularly used as a facial exfoliate. It has been used for ages as a skin cleanser. Nowadays, we have fancy soaps and face washes, but in ancient times, it was gram flour that was used to wash the face and keep it clean. Besan, in combination with some readily available ingredients at home can be used to treat a variety of skin problems and give you smooth, blemish free skin. The flour can also be used in the place of eggs in vegan cooking, all you need to do is mix it with an equal amount of water. The gram flour is rich in carbohydrates and protein and contains no gluten. It is still favored as the go to ingredient to treat skin ailments if you are wary about using products with chemicals. Let’s see amazing health benefits of gram flour for Skin, Face and Health here. Gram flour is used for lightening the skin tone since ages. You can mix gram flour with either raw milk or curd to apply on your face. You can add the juice of lemon juice too in this mask. On continuous use, you skin becomes fair, smooth and flawless. If you are suffering with oily skin than besan flour can be quite usefull. All you need to do is mix besan and yogurt (or raw milk) and apply this paste evenly across your face. Wash your face with cold water to remove it after 20 minutes. The besan face pack is excellent to help fight pimples. 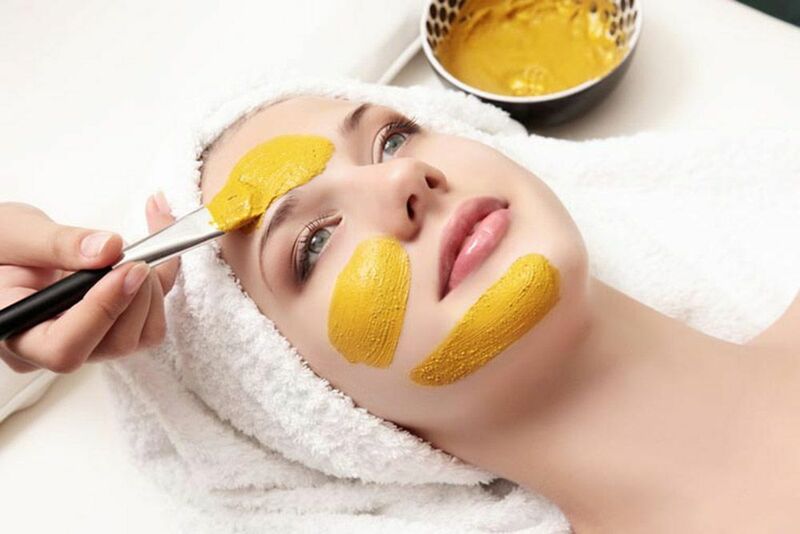 Make a paste of 2 teaspoons besan, 2 teaspoons sandalwood powder, 1 teaspoon milk and a pinch of turmeric powder. Apply to every inch of your face and when it dries, rinse off with cool water. Take a teaspoon of besan and add to it half a teaspoon of sandalwood powder and a pinch of turmeric. Make a thick paste by adding some raw milk. Apply this on the acne and pimples. Leave it until it dries. This mixture will soothe the irritated parts of the skin and have a drying effect on the acne and pimples. Wash off gently with water and tap dry. Repeated use will dry out the acne. Besan has healing and exfoliating properties that make it the perfect homemade, all natural body scrub. Combine 3 teaspoons besan, 1 teaspoon grounded oats and 2 teaspoons corn flour with a little raw milk. The scrub removes dry skin cells, oiliness and dirt, leaving you with gorgeously clean and smooth skin.